UNIQUE CHARACTERISTICS: JUNIPER is one of our popular bonsai species. It is a cold hardy evergreen and it ships well in the winter. Wood can be great material for carving. Juniper likes full/ partial sun and moderate water and fertilizer. Image above is a sample picture from our nursery stock. This may not be the exact tree you will receive, but one similar in size. 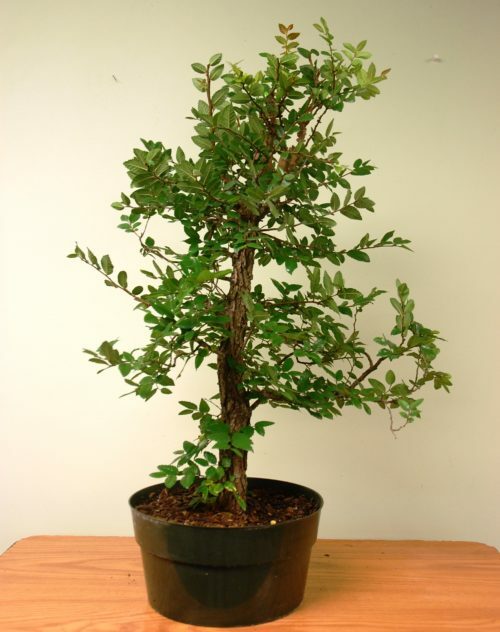 We will select the best tree for you to ship. Be aware it is perfectly normal for leaves, flowers or fruit (if applicable) to drop during shipping.